The entrance is located on the built-up with just a few houses Deichstraße. Directly in front of the house are three parking spaces and a carport. 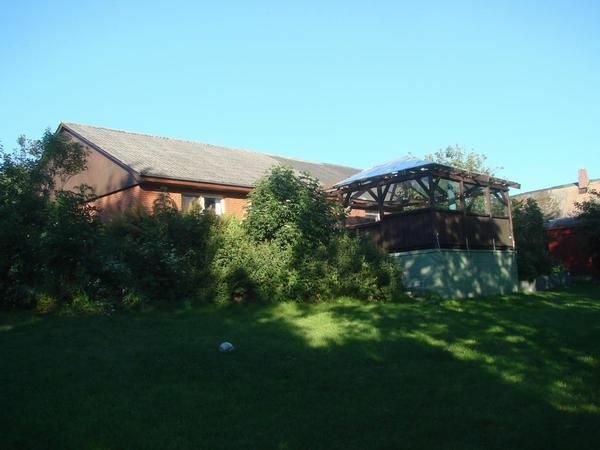 The house has an impressive view, a dog tightly fenced garden and a large covered, sheltered sun terrace. The ground floor has 140 sqm of living space. - A free telephone (flatrate to German landline) and a fast Wi-Fi connection over broadband 100 000. Towels: to rent once per person for 6 EUR (optional). from the 2nd Dog fall (per dog): per object and day costs in the amount of 5 EUR (compulsory). Linen (once per person, available 6 EUR). Towels (one per person, available 6 EUR). Internet (per object and day, included in the price 0 EUR). Parking (per object and day, included in the price 0 EUR).